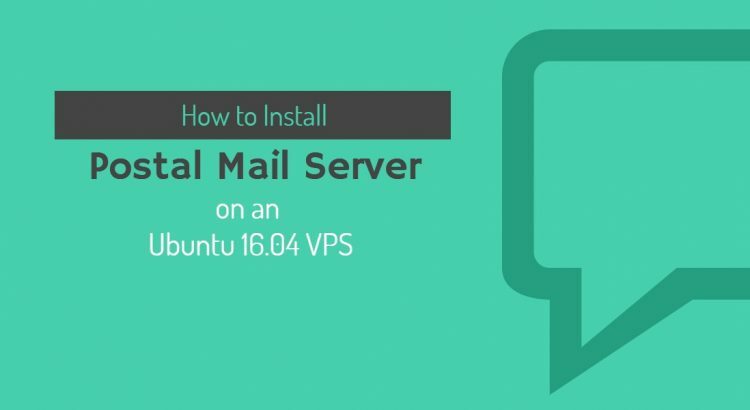 We’ll show you, How to Install Postal Mail Server on an Ubuntu 16.04 VPS. Postal is a feature-rich mail server application widely used as an alternative to Sendgrid, Mailchimp, Mailgun and other similar SMPT servers. You can use Postal to send out bulk emails, newsletters etc. This guide should work on other Linux VPS systems as well but it was tested and written for an Ubuntu 16.04 VPS. There are some requirements for this Postal setup. If you get one of our Managed Linux VPS hosting plans, we’ll install all requirements and set up your server with Postal. First, install some packages and dependencies on your system, including nginx, mariadb, git etc. [user]$ rabbitmqctl set_permissions -p /postal postal ". *" ". *" ". *"
And open your postal.yml file from /opt/postal/config and update it according to your setup. Enter the information required to create a new Postal user. This tool is usually only used to create your initial admin user. Again, use a strong password! Make sure all services are running and working properly. Postal comes with its own configuration file. You can copy the cfg file to your nginx directory. Replace the default configuration file or create a new one. By default, Postal only works with SSL. You can use a self-signed SSL. Finally, restart nginx for the changes to take effect. Now you can acess the Postal dashboard via https. Use the details from step 8. That is it. The Postal installation is now complete. Of course, you don’t have to do any of this if you use one of our Software Installation Services, in which case you can simply ask our expert Linux admins to install Postal for you. They are available 24×7 and will take care of your request immediately.